I was hoping I was going to be able to apply to the BSN program at the end of the fall. However, will be shy of 1 prerequisite. However, if all goes well with TEAS and last 2 prerequisites can apply to an Associate program end of the fall. The Associate program is highly competitive compared to the BSN program. I know I shouldn't dwell on the prospects of not getting accepted. I am going to apply early next year to the State LPN program, but it's an intense accelerated program 5 days a week and 12 month's. It's relatively inexpensive only $12K. However, the private programs are a lot more flexible, but expensive $30K. It's usually 3 days a week in the evening and 24 months long. Have a friend in the State LPN program and they say it's overwhelming. They are working 16 hour's outside of the program and hard time keeping up. Actually think LPN is a better option than Associates. My work only takes LPNs and BSNs. So with an Associates I have to leave, but LPN can work towards my BSN never leave my job. The other option looking at is a PTA program. I have all the prerequisites completed as well as the TEAS. All I have to do is do 20 hours of job shadowing in the Summer and apply in the Fall of next year for the Spring program. An LPN makes maybe a little less an hour in our State. Also noticed a lot of LPN job's in Massachusetts and New Hampshire. One job I found was an LPN job where a $2,000 sign on bonus and free tuition if eligible for an Associate program. PediatricRN73 works as a Registered Nurse. Wcsu1987, this is not intended to be rude at all, I've come across many of your posts, and you seem very indecisive of what you want to do. Nursing isn't just a simple career choice, it's so much more. The field continues to grow and advance especially in the state of CT. 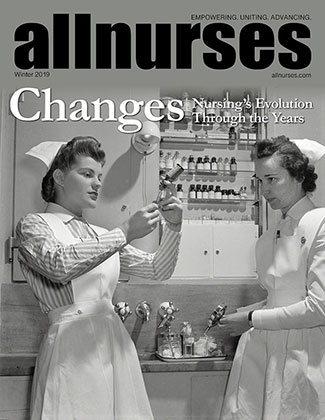 Degree requirements will continue to evolve for nursing positions. You should make a pro/con list of all of your program ideas and compare them- time vs cost vs job stability etc. On a side note, as a former LPN in CT and a current RN, there was a significant salary difference and there are so many more jobs and paths available to RNs in CT. There are LPNs I graduated with almost 5 years ago who aren't working full time still, some only found work per diem, a few are working as technicians or phlebotomists as they were before LPN school. Some went on to become RNs because they couldn't secure a decent LPN position. Just a different point of view that may help. When I found average salary of LPN in CT makes about as much as I do as a tech, $25 an hour. Only reason considering LPN is quicker way to nurse and escape CT. Then when I can move to a cheaper COL state with cheaper higher education pursue my BSN. I am still applying for my associates this fall in nursing and see what happens next Spring.